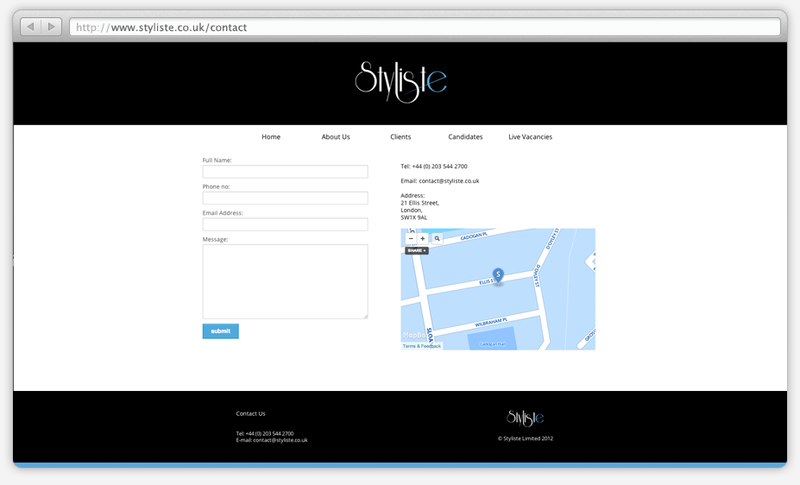 Styliste is a bespoke fashion recruitment agency based in London specialising in matching candidates and clients successfully in the fashion industry. 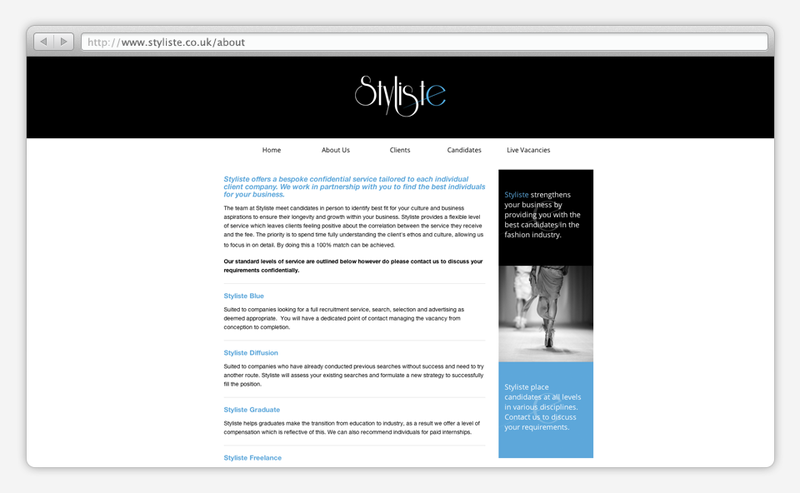 The Styliste journey was started by Hayley Newman, with an ambition to create an agency that provides flexibility for it’s candidates and clients. The website needed to be able to be managed but without the use of an off shelf solution. Codeigniter was used to create a bespoke cms system to deliver a solution to the client.